Ron Richman, AIG's Chief Risk Officer for Africa. 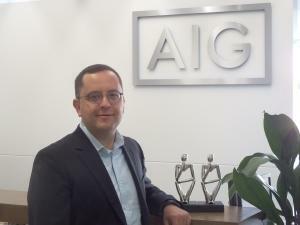 "AI in Actuarial Science", written by Ron Richman, AIG's Chief Risk Officer for Africa, was named Best Paper and Best Paper in Risk and Reinsurance by the Actuarial Society of Southern Africa. The awards were presented at the Society's recent convention at the Cape Town International Convention Centre on 24-25 October 2018. "The Committee believes that this paper deserves the prizes due to the forward-looking outlook that the author advocates in how actuaries could integrate deep learning into their day-to-day work, especially when dealing with the assessment, modelling and quantification of both life and non-life risks," said Peter Withey, the President of the Actuarial Society of South Africa when presenting the award. "Computer analytics using algorithms present a really great opportunity for improving the predictions we make, and ultimately will result in determining premiums based on a more accurate risk assessment," Mr Richman says. "I believe insurers need to start adopting these techniques now so that they don't get left behind." Another barrier might be the mind shift needed to accommodate a new way of looking at data. Traditional statistical approaches focus on understanding what the data concerns, whereas AI's various techniques focus more on understanding the patterns implicit in data in order to make accurate predictions. "AI holds huge potential for actuaries to assess risk more accurately, which is to everybody's benefit," he says. "But as our ability to interrogate the meaning of data becomes more and more sophisticated, we will need regulators and professional societies to provide the necessary governance framework for AI."